Rediscover LOEWE Perfumes through the values that have driven the brand since its inception, the concepts cease to be abstract and become real. Through augmented reality, you can experience at the point of sale the dialogue between art and nature represented in each LOEWE fragrance. 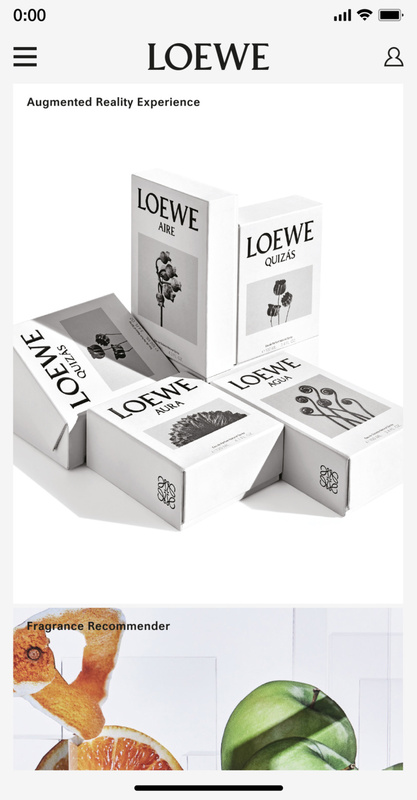 From N-E we have designed this mobile app where you can activate multiple experiences by interacting with the different elements that make up the rebranding of LOEWE Perfumes. 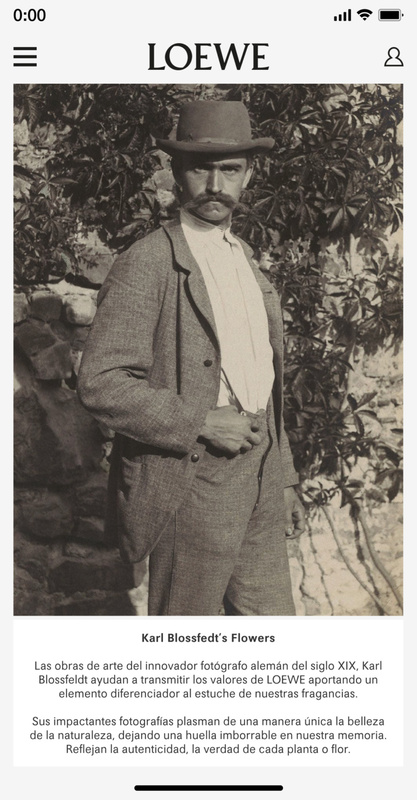 The artworks of the innovative 19th century German photographer, Karl Blossfeldt, go beyond reason to uniquely depict the beauty of nature, leaving an indelible print on our memory. They represent reality with neither excess nor adornments. They reflect the authenticity and the true nature of each plant or flower. Trough using this amazing images, the user could recognize perfectly the new image of LOEWE perfumes being the first time where all the fragrances has the same look and campaign. 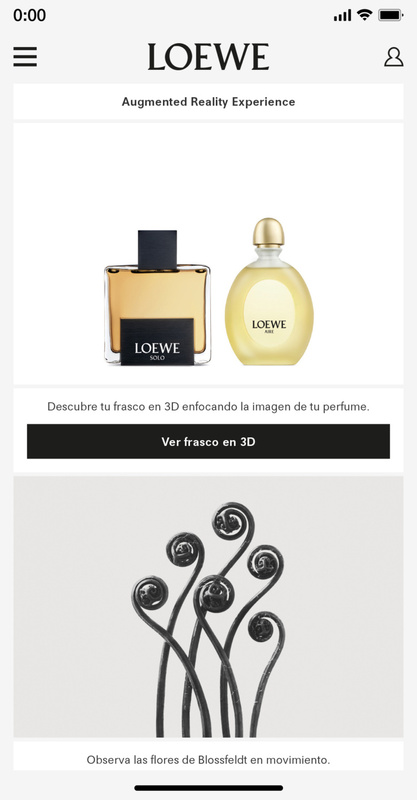 This app allows you to interact with the different packagins of the LOEWE perfumes as well as interact with the new Rediscover LOEWE campaign and all the promotional elements developed for the launch of the first global campaign of every fragance of LOEWE perfumes. You will be able to activate multiple experiences and interact as to see the bottle in 3D, make the flowers of Karl Blossfeldt grow, reproduce the campaign in any advertising or packaging. A complete experience that connects LOEWE with the new generations.